Curious about our coatings for showrooms? 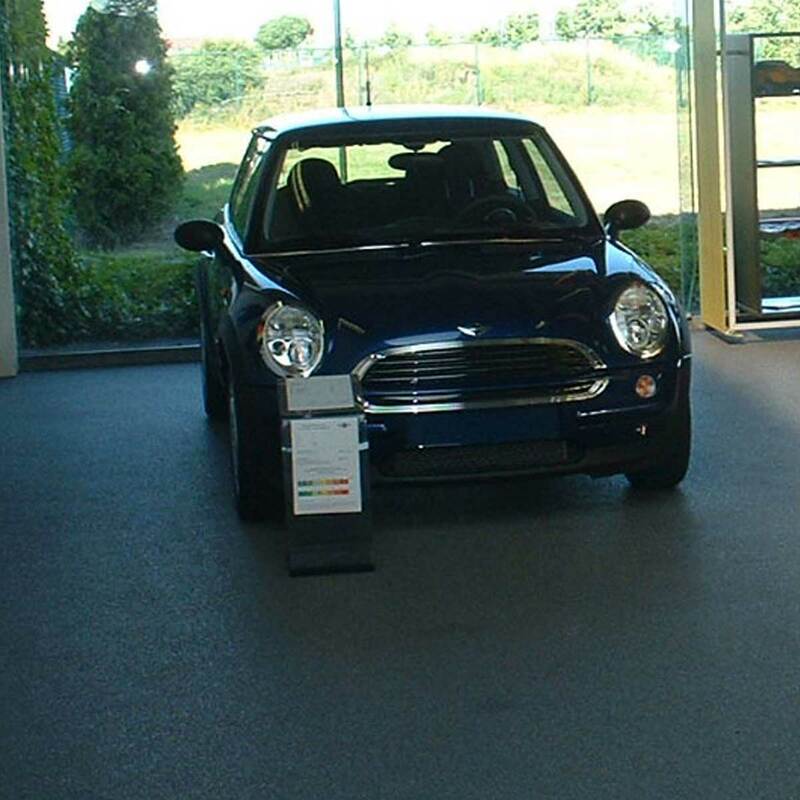 For the right look of your showroom, you need the right showroom floor. A floor is very decisive for the appearance of your business space and it ensures that your products are brought to the fore. Everyone has specific wishes and requirements, whether it’s about motorbikes, microcars, cars or vans. a quartz carpet floor for a suitable showroom floor. So you also have the choice for a trowel floor or cast floor. Both floors have a high chemical and mechanical load capacity, can be installed seamlessly and are low maintenance. They are available in many RAL colours and can be finished in gloss and mat. 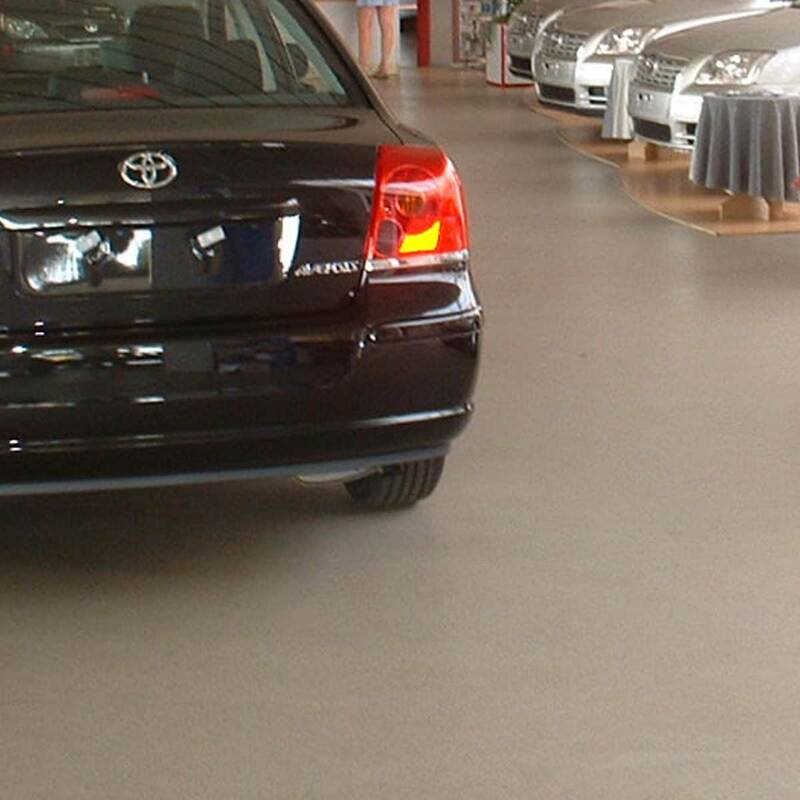 A PU cast floor is a comfortable, seamless floor and covers cracks with its tough-elastic properties. Because PU is less strong than Epoxy, it is less suitable for extremely heavy loads such as in warehouses. On the other hand, it is less sturdy making it suitable for shop floors, office floors and of course as a showroom floor. Quartz carpet is excellent coating for a showroom floor. 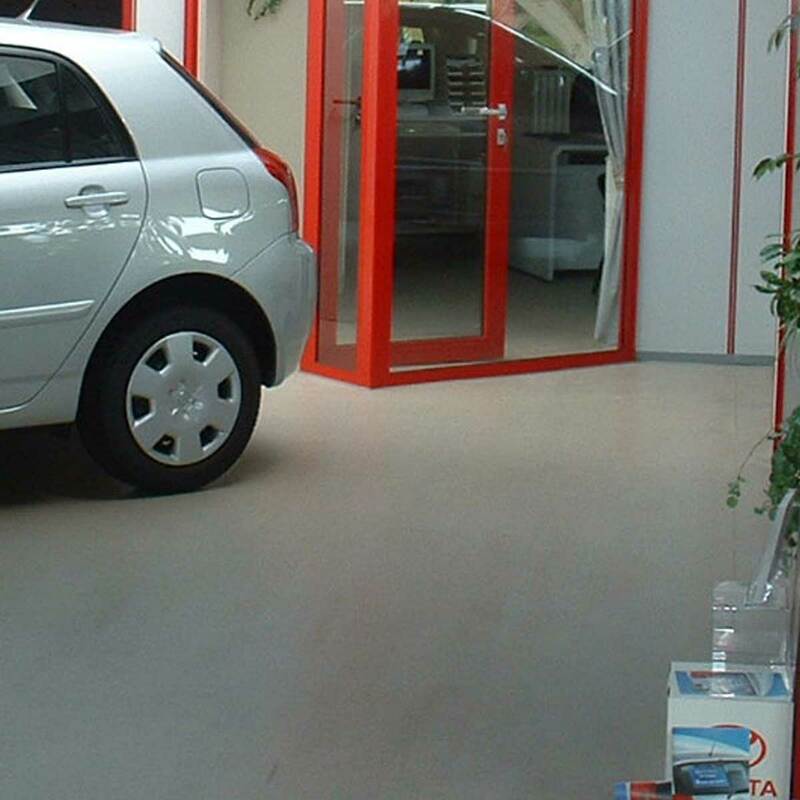 A showroom often has large windows and because of the high UV-resistance an quartz carpet floor can be installed where a lot of sunlight comes in, without discolouring the floor. Quartz carpet can be applied to almost any surface, it can be supplied seamlessly in countless RAL colours and has a warm appearance. The durability of an quartz carpet floor can be compared to that of a tile and wear or scratches are not easily visible. This contributes to the sustainability of your showroom floor and ensures that it stays in an excellent condition for a long time. If you choose an quartz carpet floor, you have the choice between an open and closed structure. With the closed structure, the top layer is sealed so that liquids and dirt remain on top of the floor where it is easy to clean. An open structure does not have a layer of sealer, this ensures that the pores of the quartz carpet floor remain open. It also contributes to the sound-absorbing effect and ensures that dust is placed between the pores where it can easily be vacuumed without blowing up when people walk on it.